A supernova would also explain the phenomenon described in the Book of Mormon, where there was a night that appeared to be as bright as day. This is potentially consistent with the observation in modern translations of Matthew that the bright star appeared to rise with the dawn. If the supernova occurred during the Persian day, but was obscured by weather that evening, the first awareness in Persia of the celestial light would have been in the morning within 24 hours of the supernova’s appearance, where the star would have been seen in the eastern sky right before dawn. While we may live our entire lives without seeing such a sight, it is known that several stars are primed to supernova in the relatively near future (within several thousand years). 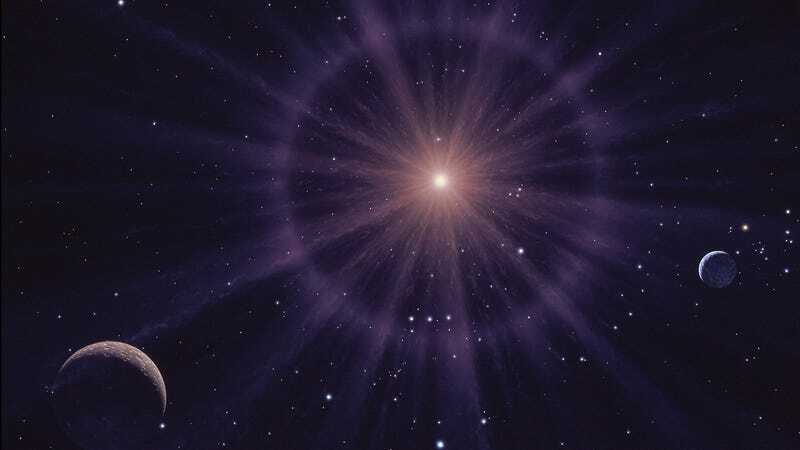 Astronomers estimate that Betelgeuse, the red giant in the constellation Orion, will light the sky as day for several weeks when it supernovas. Btw, did the Chinese note the date it appeared? The website also indicates a Korean record suggests the star appeared on March 31, but in 4 BC. But the Korean record is considered inferior with respect to accuracy, so 5 BC is more likely to be correct. 5 BC also agrees with the Roman and Judaic political events associated with the birth of Christ (the call for a census, the death of Herod). “Such a star would appear in the southeast relative to Persia, leading anyone following such a star to the kingdom of Judah.” Can you please expound on this? How do you follow a star? As you know, the Earth rotates and star’s apparent position on celestial sphere constantly changes. Am I missing something? The website I linked to in the footnote spends a lot of time delving into the fact that the Chinese supernova would have appeared in the east relative to Tehran if it were initially seen in the pre-dawn twilight, which appears consistent with the Matthew account of the portentious star. But if someone in Tehran had followed that star towards the east, they would not have ended up in the Kingdom of Judah. However, in the evening, the supernova described by the Chinese astronomers would have appeared in the western sky relative to Tehran, and therefore would have led Persian wise men towards Judah. This is how wise men coming from the east could have followed an “eastern star” to find a location that was actually to their west. All conjecture, of course, but conjecture that builds on disparate observations and physics to explain the star described in scripture (both the Book of Mormon and the Bible). The land-based or land-referenced “direction” of a star is the relative position in relation to your local horizon (elevation) and local landmarks (azimuth, or compass heading), which changes constsntly as you noted. “Actual” (or official) direction, from which local directions can be _computed_ (based on date, time, and local longitude and latitude), is based on the “celestial coordinates”, called Right Ascension, and declination. And, as the earth rotates, it appears to us as if the stars are rotating around the North Star/Polaris throughout the night. You see that in time lapse photography of Polaris. I don’t know exactly what time-point astronomers use. But I’d guess at local sunrise, or at local sunset, or maybe at “star rise” for that star, if it has not already risen by sunset. The article that Meg links to seems to use (astronomical) morning twilight as the time-point at which to observe/measure the “direction” of a star. So “following the star” would mean noting the direction (ie, with a magnetic compass or using distant landmarks) in which you see it at morning twilight, then heading in that same direction throughout the day. Oops, Meg beat me to it with a more better description. It would have had to have been the evening twilight time-point for the wise men. It would depend where one presumes the wisemen were coming from. If Persia, they would have needed to travel west. The NIV specifies that the wisemen were from the east and that they saw the star when it rose. Other translations suggest it was just that they saw the star when they were in the east. In any case, had they followed the star described in the Chinese record, they apparently were traveling in the direction of its night-time rising. In discussing this with a family member, they were inclined to reject the idea that the Chinese supernova was the star of Bethlehem because of the report that King Herod had all babes two years and younger killed based on what the wise men said about the appearance of the star. While I wasn’t able to persuade this family member, I would suggest that the order Herod gave was to kill all children who were still being breastfed. While this would have resulted in the slaughter of all children less than two years old, it is an order that certainly would have resulted in the death of the “newborn king,” had Joseph not fled to Egypt with his young family. My family member is pleased to imagine that the wise men said “The star rose in the east about two years ago.” Though if this were the case, I don’t know why Herod wouldn’t have ordered the murder of all infants who could not speak well enough to say “שִׁבֹּלֶת.” When one is a paranoid ruler who has murdered family members out of fear of usurpation, it does not make sense that one would stop the murder of innocents at two years if the wise men had said the child could have been born at the appearance of a star two years earlier.